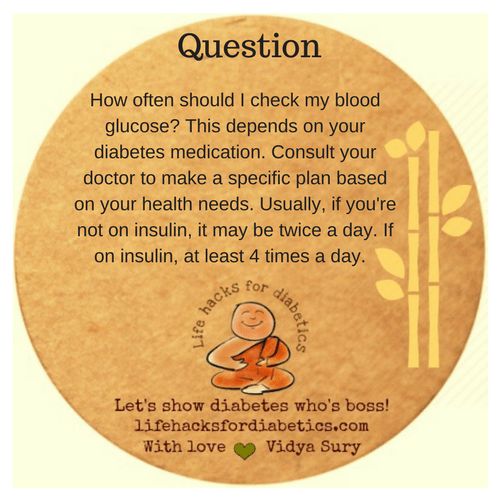 Question: How often should I check my blood glucose? This depends on your diabetes medication. Consult your doctor to make a specific plan based on your health needs. Usually, if you’re not on insulin, it may be twice a day. If on insulin, at least 4 times a day.